Every body builder dreams about becoming bigger and stronger, and the steroid Dianabol is capable of making such dreams a reality in a very short space of time, so it is not that surprising that many people consider it to be the most powerful steroid in the world. It is also one of the steroids that shows up most frequently in pre-competition screenings and many athletes have been banned from competing because they tested positive for Dianabol. There are legal versions of Dianabol available that are highly effective and greatly reduce the risk if side effects. What is Dianabol & how does it Work? Often called D-Bol, Dianabol is a brand name given to the steroid methandrostenolone. It assists muscle growth by improving protein synthesis and boosting nitrogen levels. Protein synthesis is necessary for the repair process that is necessitated by a hard workout and, if the body becomes more efficient t at this process, strength and muscle gains will increase accordingly (presuming the availability of sufficient protein). When people workout or exert their muscles in other ways the body can start to lose nitrogen. Although this is normal the loss of nitrogen can hamper protein synthesis, so Dianabol’s ability to boost nitrogen levels can further improve muscle and strength gains. Improved nitrogen retention can also result in a slight widening of the blood vessels. This allows the muscles to receive a greater amount of oxygen and nutrients during training periods, thereby enabling the muscles to work harder and longer before fatigue sets in. The steroid methandrostenolone (Dianabol) was developed in the 1950s by an American physicist. His name was John Bosley Ziegler and he was working at the Ciba chemical company (Switzerland) when he first began exploring the opportunities presented by steroids. During the late 1950 and early 1960s the standards set by Russian athletes were overshadowing the abilities of athletes from other areas of the world and Ziegler was convinced their success was partly due to performance enhancing compounds. Ziegler aired his concerns to the relevant sporting bodies in the US and sought approval to use Dianabol to boost the performance of American athletes. Permission was granted, but Ziegler was only allowed to administer the steroid to a few of the less acclaimed athletes. This was an important first step in Dianabol’s acceptance and it was not long before its use grew in popularity, but the considerable dangers its use can entail caused the FDA to step-in and issue a ban on its use. Although it is possible to take Dianabol intravenously most users take it orally and there is no evidence to show injecting Dianabol is likely to enhance the results. 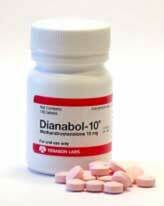 Dosage The amount of Dianabol people are willing to take varies a lot. 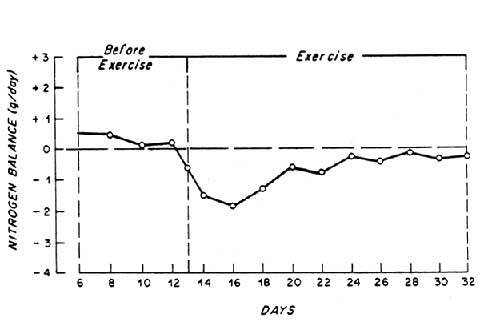 At the lower end of the scale some people report achieving good gains with a dosage of just 15mg per day. However, many people are willing to risk much higher doses and some bodybuilders admit to taking up to 100mg each day. Most respectable sporting organizations do not allow the use of steroids, so any athlete who tests positive for steroids normally gains an instant disqualification and may be banned from competing in future events. Many athletes continue to try and beat the system, but pre-competition screening techniques are constantly improving and some athletes have tested positive for steroid usage up to a month after they took their last dose. Methandrostenolone (Dianabol) is also produced under a number of other brand names. The American FDA exists to protect consumers’ health. They do not restrict the circulation of drugs, medications, or supplements without good reason, and anyone who is familiar with the kind of side effects Dianabol can present should be able to see the risks it presents makes it use unwise. Dianabol’s potential as a muscle-builder cannot be denied, but massive muscles will do little to lighten the day of any bodybuilder who finds themselves restricted to a hospital bed or anyone who is banned from competing in the sport they love. Yet many athletes continue to risk all for the possibility of a few fleeting moments of glory, regardless of the fact that many modern supplement can offer similar results without any of the heartache. This entry was posted in Muscle Supplements and tagged D-Bol Legal UK, Dianabol Pills UK, Dianabol Results, Dianabol Side Effects, Is Dianabol Legal. Bookmark the permalink.